1. Use your best endeavours to raise money and not do to anything to bring Wallace & Gromit’s Children’s Charity into disrepute. 2. Obtain and pay all money raised within two months of any fundraising activities. 3.  Show Wallace & Gromit’s Children’s Charity any material bearing our logo or any associated third party prior to printing or online publication. 4. Ensure all materials and correspondence includes: ‘Wallace & Gromit’s Children’s Charity. Registered charity number 1043603. 5. Obtain approval from Wallace & Gromit’s Children’s Charity before approaching companies, press or celebrities. 6. Refrain from collecting on private property (e.g. supermarkets, shopping centres, rail stations, schools) without first obtaining the permission of the landowner or manager. 7. Refrain from collecting on public property (e.g. streets, parks) or carry out a pub-to-pub collection without consent from the charity and the local licencing authority. 8. Refrain from carrying out any house-to-house collections. 9. Ensure you have permission from the business owner before placing a static collection box. Please ensure that the boxes are secured and sealed correctly. 10. Only hold a raffle where tickets are sold during a non-commercial event, on the premises where the event is held and the draw takes places during the event and understand that all other raffles require a licence from the local authority. 11. Ensure that children under 16 do not manage static collection boxes or count collected money and that you compile with any local authority age limit on collectors. 12. Ensure that children are properly looked after, that you have permission from their parents or guardian to take part and that any adults looking after children have had the appropriate checks. 13. Respect the confidentiality of other peoples’ information and treat any confidential or personal information, or photos you take, with care. 14. Undertake a risk assessment of any event you organise to ascertain what could cause you or other participants harm and undertake the necessary precautions to prevent this from happening. 15. Ensure that any food sold has been produced under safe and hygienic conditions and that the food safety systems have been documented and that a licence is obtained if you plan to sell alcoholic drinks or have a band or singer perform at your event. 16. Acknowledge that Wallace & Gromit’s Children’s Charity cannot provide insurance for any of your events and ensure that you obtain insurance when necessary. 17. Acknowledge that Wallace & Gromit’s Children’s Charity cannot take responsibility for any losses made through or liability arising from your event. 18. Return any unused fundraising materials and collection boxes at the earliest opportunity. 19. Inform Wallace & Gromit’s Children’s Charity in a timely manner if you have to withdraw from or cancel your event.